This section provides an overview of whom to target for transition plans. Your goal is to identify high-risk and -needs individuals, those research tells us stand to benefit the most from a transition plan. Research indicates that low-risk individuals do not need transition plans, and resource limitations may preclude planning for those who are not likely to be released back to the community or for whom someone else will take responsibility for developing a plan (i.e., those facing transfer to state or federal prison). First, determine if your incarcerated population has been screened and assessed for risk and need and whether that information is easily accessible. Second, the TJC model recommends using a person's risk and needs levels as the two main criteria to identify who should receive transition plans. Screen your entire jail population and assign individual levels of risk of reoffending to each inmate. Set a cut-off point considering the risk screen score and the resources available to provide extensive assessment and transition services to higher risk inmates. Remember that based on the Risk-Need-Responsivity (RNR) model for assessment and rehabilitation, low-risk individuals should not be targeted for extensive intervention; however, as indicated in previous modules, they can still receive referrals and information that will address targeted needs. For higher-risk inmates above the established cut-off point, a more extensive risk/needs assessment should be conducted to inform your transition plan. When considering a “cut-off” point, it is also advisable to design your process so that more comprehensive assessments are only performed with people for whom resources or services are available. Next, identify the criminogenic needs (e.g., antisocial values, substance abuse, family dysfunction, antisocial friends, and low levels of personal education) of the population who have a high-risk score and for whom you will or are able to provide transition planning interventions. As discussed previously in Module 5, research shows a positive relationship between these needs and re-arrest. Transition plans should also target and address basic survival needs (e.g., identification, housing, employment), health, and mental health needs because homelessness and severe mental illness, for example, can affect transition from jail to the community. Transition plans should address the needs identified by individual risk/needs assessments and avoid a “one-size-fits-all” approach. Length of stay: How long a person is going to be incarcerated is often used to identify where the person receives a transition plan. Generally, you should develop transition plans for sentenced and pretrial persons whose assessments determine need for a transition plan and who are expected to stay in jail for more than 10 days. Transition plans should be initiated in the community after release for those with high risk and/or needs, but who will be in jail for a shorter period. Crime Type: Some jurisdictions identify crimes or offender types for whom they choose not to offer transition planning services due to their values or beliefs related to those crimes or offender types regardless of the research. Therefore, each jurisdiction should determine if they will limit services by crime or offender type and develop an exclusion list so resources will not be wasted on offenders for whom comprehensive services will not be made available. County of release: Will transition plans be provided to people with high risk or needs who are released to counties outside of your jurisdiction? Chronic health problems: From a public health standpoint, will all individuals identified with an infectious disease (e.g., HIV/AIDS, tuberculosis, viral hepatitis, sexually transmitted disease) receive a transition plan? Capacity: Will time and monetary cost, staff availability, and staff training limit transition plans, even for those who meet the threshold criteria? Is some method available to target the highest need individuals to ensure the best expenditure of available resources? Receptivity: Will the transition plan be voluntary? The TJC model recommends that all persons who meet the criteria receive a transition plan, whether they want it or not. Incentives: Develop incentives to foster inmate participation in the recommended services, especially post-release. 1. La Crosse, WI. TJC Process system case flow chart outlining screening assessment, targeted treatment and transition planning. 2. Lowenkamp, Christopher T. and Edward J. Latessa. 2005. Developing Successful Reentry Programs: Lessons Learned from the ‘What Works’ Research. 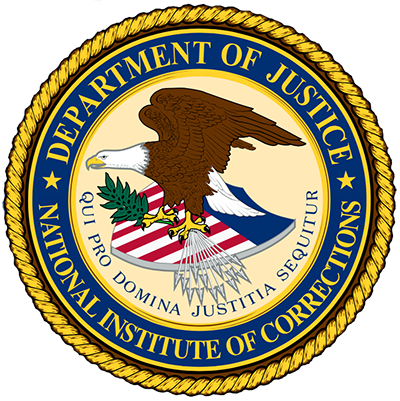 Corrections Today, 72–77. 3. Howard County, MD. Howard County Jail Transition Reentry Map. Let's revisit what we have learned so far in the Transition Plan Development module. Please select the phrase that correctly completes the following sentence. With a job to return to. With higher risks and needs. In this section, you learned that an individual's risk and needs level should be the main criteria for identifying who should receive a transitional plan.